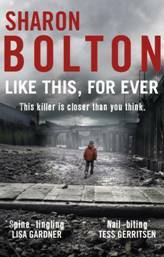 Today I’m delighted to be joined on the CTG blog by crime writer SJ Bolton, author of the Lacey Flint series, whose fabulous novel LIKE THIS, FOR EVER is now out in paperback. So, first question, like all of your novels, Like This, For Ever tells a dark, gritty and powerful story. 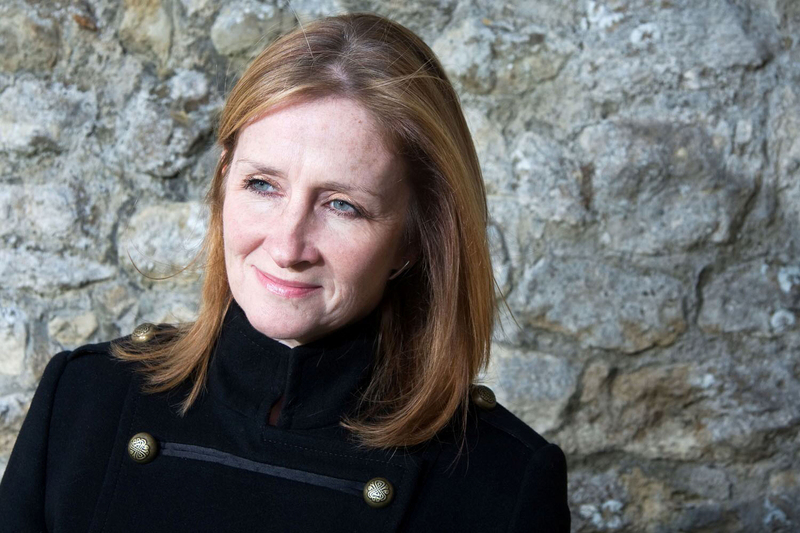 What is it that prompted you to write a crime series? I believe the most successful authors are those writing books that they would love to read themselves. I’ve never been a great fan of traditional crime fiction, veering instead towards stories of the supernatural. I love the dark, creepy atmosphere, the sense that normal rules don’t apply and that anything can happen (and usually does.) At the same time, such stories can be frustrating and I often have a sense of the writer feeling he needn’t bother tying up the loose ends because – hey – it’s the supernatural, and the ghost did it! Such a story might be enjoyable in the telling but will ultimately fail to satisfy. What I try to do is marry the two. A sort of crime/horror mash up, if you like, where the story is as dark and scary as those of the supernatural but in which the narrative is logical, explained and complete. When you get the idea for a novel what usually sparks it for you – plot or character? Quite often it’s location. I’ve long loved and feared the River Thames in equal measure, and find the lesser known stretches around Greenwich, Deptford and Rotherhithe completely fascinating, so it’s no surprise that they feature so much in Now You See Me, Like This, For Ever, and my current work in progress. After that, it’s plot. I’m very much a story-driven writer, and put a lot of time into planning the twists and turns of my narrative. Characters, I find, can usually look after themselves. Tell us a little about your writing process, do you plot the story out in advance or dive right in and see where it takes you? Were I to try the latter, it would take me straight to the gin bottle! My books have very complex plots. (Not by design, I hasten to add, I try every year to write a simple book but the blind alleys and red herrings just sneak their way in there.) Knowing how complex they’re likely to turn out, I need at least the outline of a plan. Generally speaking, the more I can plan in advance, the easier the writing process. Sadly, my brain just isn’t big enough to hold an entire plot, so I have to plan as much as I can and hope to fill in the gaps as I go along. What tips and tricks have you learnt that you’d like to pass on to any aspiring crime writers? Get to the end of the first draft as quickly as you can. Don’t listen to that small, snide voice telling you that it’s rubbish, that the idea will never work, that you need to bin it and start something else. Finish the draft. There is no problem that can’t be fixed. There is no piece of writing that can’t be improved. And the task always looks so much more manageable when you are working with a complete, if imperfect, manuscript. The biggest hurdle facing aspiring writers isn’t getting a publisher, it’s getting finished. And after Like This, For Ever what’s next for Lacey Flint. Do you have another novel in progress, and if so when will we be able to read it? Lacey Flint No 4 has just gone into production. I’m not allowed to announce the title yet, but in it we see that Lacey, having been through the mill in previous books, has turned away from her promising detective career and gone back into uniform. She’s joined the marine unit of the Metropolitan Police and bought a houseboat moored at Deptford Creek. One day, out swimming, she meets a mermaid. It will be published in May 2014. Sounds fantastic. A huge thank you to SJ Bolton for dropping by and answering our questions. It’s hard to write a review of this novel without included spoilers and I don’t want to spoil the story for you. So all I’m saying is that Barney, an eleven-year-old boy with a gift for spotting patterns, is looking for the connections to help him solve the child murders while he’s home alone while his Dad works late. He’s also Lacey Flint’s neighbour. The story is shown primarily from three perspectives – Barney’s, Lacey’s and Dana’s. This lets you, as the reader, in on a lot more of the facts than any one of the main characters have – a sure-fire recipe for heart-banging moments! The story is artfully plotted, with many possibilities for who is behind the killings. This, and the multiple twists and turns, create an unputdownable puzzle that kept me reading well into the night. But it wasn’t just the puzzle that kept me reading. SJ Bolton creates such deeply drawn characters, like the smart, often strong and yet also emotionally fragile heroine, Lacey Flint, that I felt compelled to read on just to stay with them on their journey within the story. As well as motivation to murder, the story touches on a number of themes including modern-day vampire culture, online stalking and how social media influences, aids and inhibits investigations. Utterly gripping, tense and suspenseful: this is a real page-turner of a crime novel.